Public access television in Londonderry has come a long way since its inception in 1984. Programming in those days was accomplished with a couple of 3/4" tape decks, a coaxial cable connection and an alarm clock. But as is the case with most industries, technology has changed the landscape completely. High quality production equipment has gotten smaller, less expensive and more accessible. 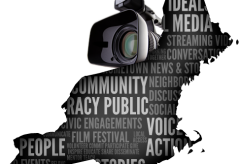 Any citizen of Londonderry can take advantage of the resources available at the Access Center to produce whatever program they wish to air on CTV-20, CTV-170, or for On Demand. No program is subject to pre-screening or censorship. 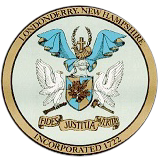 GOV-22 and GOV-30 are the dedicated government channels for Londonderry. They are specifically reserved for the cable casting of town government meetings of the Town Council, Planning Board, Budget Committee and Zoning Board of Adjustment. The LAC is open to the public: Monday - Friday 9-5pm.